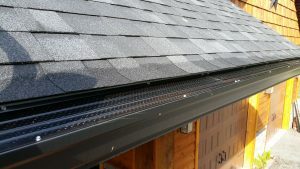 Hi, it’s Bill from Ecoclean Property Services and today I’d like to share with you what I have learned over my years of installing all types of gutter guards. 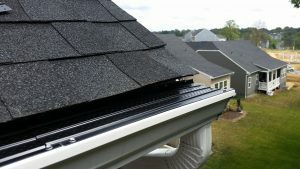 There is a lot of misinformation online pertaining to gutter guards and I’d like to clear the air. There are dozens of different gutter guards on the market, some work very well while others don’t work at all. Because of this there are all kinds of opinions floating around the internet, when someone says gutter guards don’t work they should really be more specific about what type didn’t work for them. After many years of installing many different brands and types of gutter guard I feel somewhat qualified to state my opinion on the types of guards I experienced. I will start with the types I don’t like and feel don’t work very well and why. I don’t like or recommend any type of plastic or PVC type gutter guards, they are usually inexpensive but the downside is they don’t hold up well and probably my biggest complaint is that birds and squirrels love to chew through these guards to build nests particularly if it has micro-mesh attached to the guard. So although they are relatively inexpensive upfront they generally won’t last too long and they carry no warranty. The second type that I don’t recommend at all is the “helmet” type gutters that generally slide under your shingles and cover your entire gutter that are supposed to waterfall into your gutter without letting any debris inside your gutters. If I had a dollar for every “helmet” style gutter I removed that didn’t work I could make a mortgage payment. They allow debris into your gutters and the way they are designed you can’t get in to clean them at all, also most “helmet” type gutters slide under your shingles which will absolutely void your roof warranty. The people selling you the helmet gutter will swear to you it doesn’t void your roof warranty but it most certainly will and I encourage you to call the shingle manufacturer yourself to confirm it. The biggest problem I have with “helmet” style gutter guards is the price, it’s crazy expensive and doesn’t work. I have seen this selling for as high as $20 to $30 a foot which should be illegal….stay far away from from helmet style guards! The third type that I have found that have issues over time are guards that use Micro-mesh to filter out debris. I like the idea of these type of guards and in theory they should work well except that over time as your roofs shingles excrete oily deposits that tend to clog the pores of the micro-mesh rendering them useless. When this happens water will flow right over the micro-mesh guard and over the front of your gutters. They will work well at first but over time they will be rendered useless unless you have a metal roof in which case they are a good option. After much trial and error I have found Aluminum gutter guards that outperform anything else I have used in the past and carry a 30 year warranty that the company actually stands behind. Many guards say they have lifetime warranties up until you need to use them and then suddenly you’ll hear another story altogether, a warranty that is not honored is useless! Flexxpoint aluminum gutter guards are a quality product that the company stands behind, they work flawlessly and do a great job cleaning off debris on their own due to their ridged design which allows air to flow under debris. A good breeze and your guards will clean off well on their own. I have used many styles and brands of gutter guard in the past and Flexxpoint is the only brand I will install today! It is in my own best interest to sell an affordable, durable product that works well and does what it was designed to do….keep your gutters clean and flowing freely. These guards install on any K style gutter and come in 5″ & 6″ sizes and come in three colors although I recommend the black to help melt snow and ice in the winter months. So whether you are looking to have someone install guards for you or you plan to do it yourself take a minute to check out Flexxpoint gutter guards and read hundreds of reviews on Amazon by homeowners who have installed them on their homes. The best guards I have ever found at a great price, they are the greatest value in gutter guards. 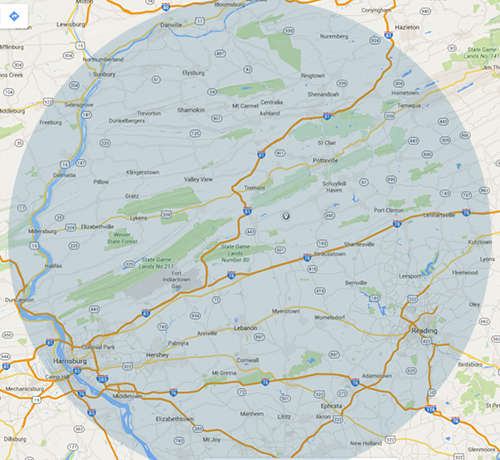 Visit us at ecocleaninpa.com for more information and to view pictures in our gallery.